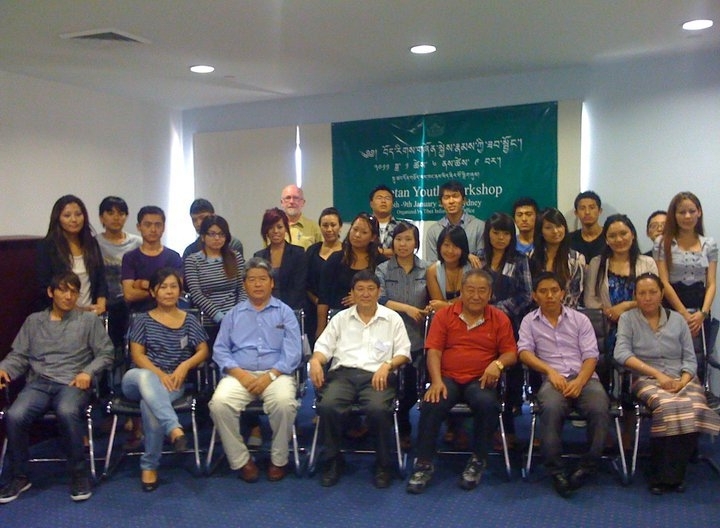 For Young Tibetans living in Australia and New Zealand, on 9 January 2011, in Sydney Australia, we initiated this project. The Australian New Zealand Tibetan Youth (ANZTY) sees a great and urgent need to take active action to bring about positive change in the desperate situation in Tibet. The Chinese occupation and colonization of our country has created second-class citizens of our people, in our own land. Policies, which favor the Chinese migrants, have imposed immense pressure on our culture, our way of life and on the environment. We, the exiled Tibetans live in relative freedom and prosperity. It is our responsibility to take active action to help our fellow Tibetans who live under a cruel and heartless, dictatorial foreign regime. Our reading and writing language is not allowed in any school curriculum in Tibet. Tibetan language has been forcefully replaced by Chinese language. Our religious and spiritual practices are forcefully dictated and controlled by a communist Chinese government. To contribute financial support to orphanage centres. needy Tibetan in Tibet, India and Nepal and sponsor them for their education. To show solidarity with Tibetan Youth in Tibet. To raise awareness of the critical situation of Tibet under communist China to the Australian public. To encourage Tibetan youth in Australia in preserving our culture and act for a democratic and free Tibet. 14th Dalai Lama of Tibet.